the Warrior” martial art series, is presenting a series of weekend seminars in the Bay Area hosted by Bernard Langan and In Motion Center. Luo Laoshi studied mainly with Hung Yi-Hsiang in Heibei Hsing-I, Chen Pan Ling style Tai Chi and Ba Gua in the Gao Style. Luo Laoshi continued his training under Liu Qian of the Sun Xikun branch of Ba Gua and Nei Gung. Luo Laoshi has developed a practical approach and teaching methodology to clearly develop your skills and practice of theChinese Internal Fighting Arts through this intensive seminar format. This year's seminars will focus on Ba Gua, Hsing-I and Tai Chi applications and internal power and form training. Ba Gua is an exceptionally beautiful martial art emphasizing spiral movement and sophisticated footwork developed from Taoist Walking meditation and Nei Gung Practices. Sticky Hands methods and Straight Line (Hou Tien) fighting palm usage will be taught. 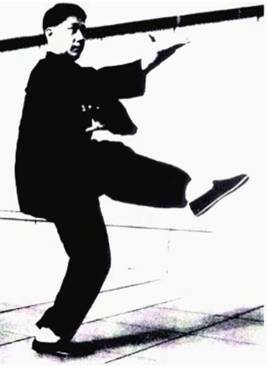 Hsing-I Chuan is a direct and effective martial art that emphasizes meditative standing practices and an economical use of powerful and relaxed movements. Included are San Ti breathing methods, An Sen Pao (two person fighting drills) and the forms Entering and Retreating Linking Fist, Twelve Shape Fist, Eight Stance Fist, Twelve Phoenix Fist, and the 12 animal forms. Tai Chi uses slow circular movements as a training aid to develop sensitivity and body alignment. Tai Chi can be used as a form of moving meditation and as a sophisticated method of building and applying refined power. All registration must be made and paid for in full in advance. No one will be admitted at the door. Spaces are very limited and seminars will sell out. No Observers. No Photo or Video Cameras. No Exceptions. Please Note - Seminars are in a private venue – you will not be admitted into the building unless you are preregistered and prepaid.